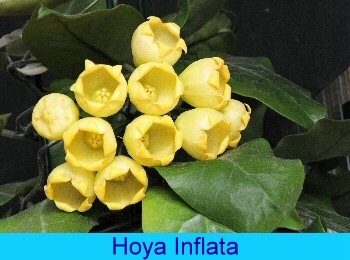 The purpose of the International Hoya Association is to serve and educate its members, and in so doing, provide an opportunity for the good fellowship and exchange of ideas which will stimulate interest and activity in connection with hoyas and other Asclepiadaceae. Members of The International Hoya Association may be beginners or may have advanced to the level of ongoing interest in the problems of speciation and identification of hoyas. The Association is dedicated to the inclusion of members with interest of every type and all levels. 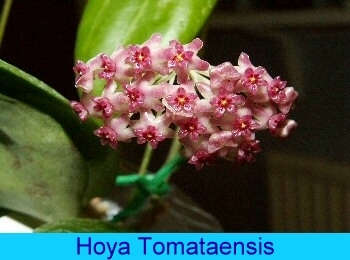 The genus Hoya is found in South East Asia through Australia. They are adaptable plants found everywhere from true rain forests through the slopes of the Himalayas, from semi-arid niches in Australia to damp forests. They range from vines, the most common form, to shrub-like growth. Most are epiphytic. 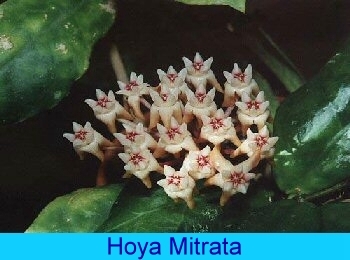 Hoyas are in the family commonly known as milkweeds. They are most closely related to Stapelia, Ceropegia and Dischidia. They were first identified as a new genus by Robert Brown in 1802. There are now several hundred distinct species. Many of these species are in cultivation. However, the exact identification of many of these species is not always correct. All the hobbyist can do is maintain the identification that came with the plant and try to verify identity through photographs and descriptions. Membership in the International Hoya Association includes a subscription to the Fraterna, the quarterly journal of the International Hoya Association, as well as access to the the fourthcoming "Members Area" of this web site. Please review the "Club Info" area of this web site for additional information! Thank you for visiting us, we look forward to your continued interest in our hobby!